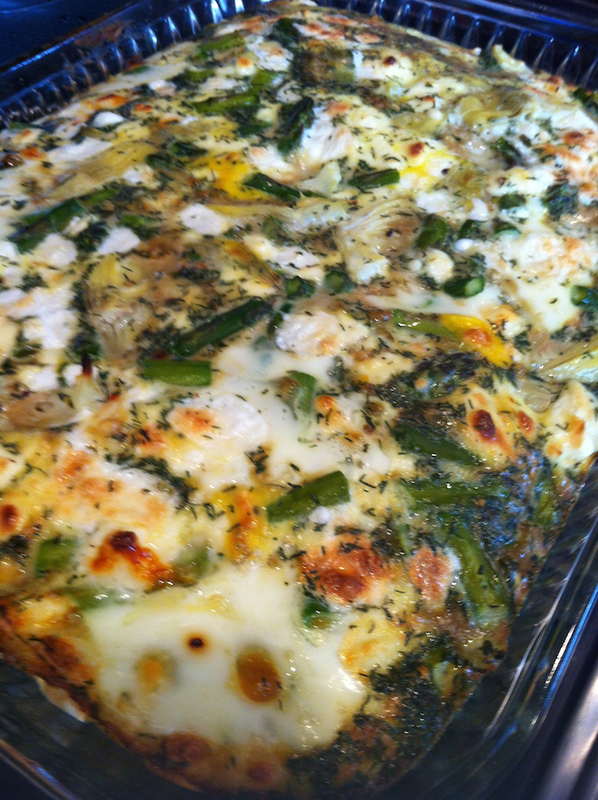 I made this casserole for Easter breakfast. It’s a great way to display the first asparagus of the season and the artichoke goes really nicely with egg. If you’re not trying to get kids to eat asparagus, you don’t have to mention smelly pee, you can just be excited by the antioxidants, vitamin K, and folate from the asparagus. 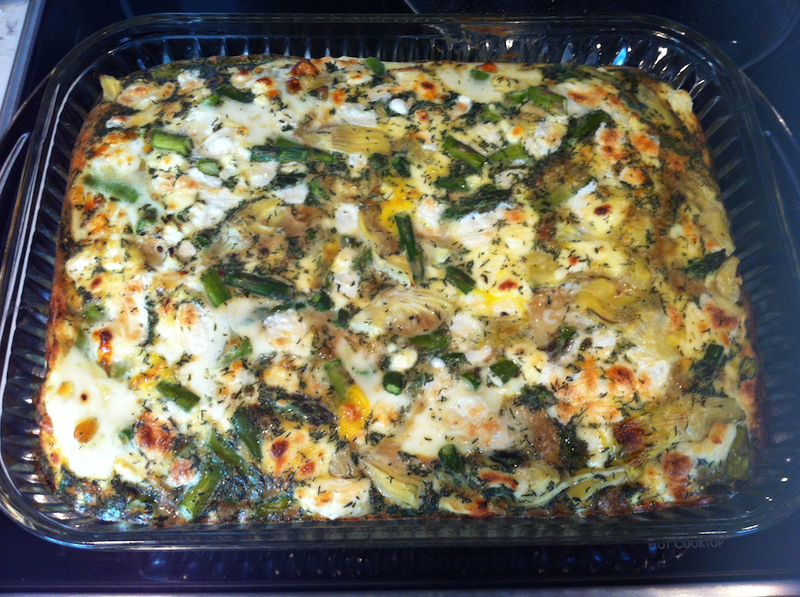 You’ll also be getting tons of protein from the eggs, and calcium from the cheese. Preheat oven to 375°. Grease a 10×14″ pan with cooking spray and set aside. Chop the artichokes into quarters and layer in the bottom of the prepared pan. Cut the woody ends off the asparagus, and then steam the asparagus until just tender. Run the asparagus under cold water to stop the cooking, then chop into 3/4″ pieces. Layer over the artichokes in the prepared pan. Crumble the cheese over top. In a bowl, whisk together the eggs, egg whites, everyday seasoning, dill, salt and pepper. Pour over the cheese and vegetables in the pan. Mix to make sure everything is equally distributed, then bake for 30-35 minutes, or until set and golden brown. Serve immediately. what a great way to get kids to eat asparagus!! i’ll have to try it on my grandson. recipe looks wonderful. love your blog. Thanks, Mary Carol! Let me know how it goes with your grandson!